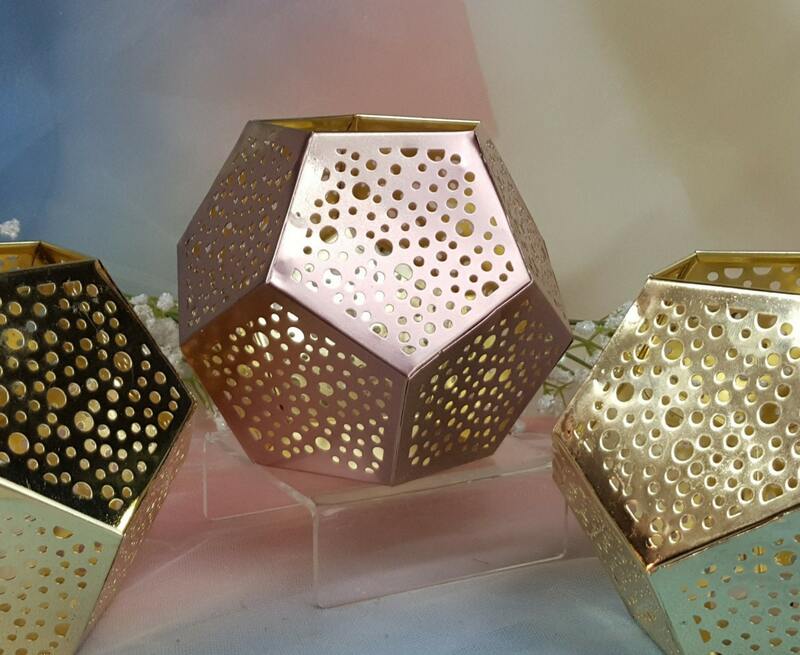 Fun Trendy Geometric Votive Holder or Vase Design. Can be used as a vase! put a small cup inside. Great! Lovely little votives, accent the room nicely. Love these! Just like pic! Ordered the rose gold for my sweetheart table!